seen it rock in a long time. What was the occasion? 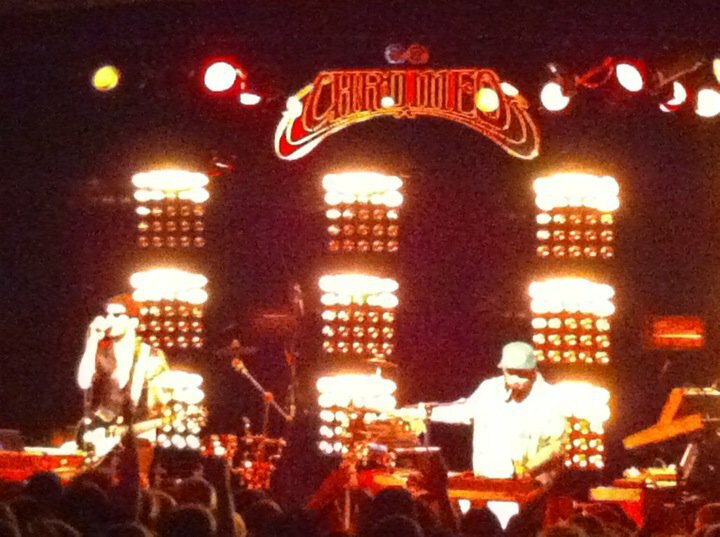 Chromeo, of course! The Montreal-based electrofunk duo played a sizzling set for a shockingly enthusiastic all-ages crowd. Lead singer Dave 1 put it best when he said, “Seattle, can I say something? You’re nuts!” Not something that we notoriously standoffish Northwest audiences hear very often. In the case of last nights sold-out gig, however, Dave 1 was 100% correct. Dave 1 and his partner in funk, P-Thugg, played hits from their first two albums, She’s In Control and Fancy Footwork, as well as cuts from their upcoming release, Business Casual, scheduled to drop on September 14, 2010. I was excited to hear all of my favorite songs, including “Tenderoni”, “Fancy Footwork” and my number one Chromeo track, “Bonafied Lovin’ (Tough Guys).” I was also happy to hear some of the new stuff, as I was hoping they’d play their new single, “Don’t Turn The Lights On.” They did! The show was opened with sets by Holy Ghost! and Telephoned who both did a great job of warming up the crowd for the main event. Chromeo – Bonafied Lovin’ from Vice Records on Vimeo. And the newest video, “Don’t Turn The Lights On.” A word of warning about this video – it’s deliciously creepy and may give you nightmares if you watch it too close to bedtime. If you can get to sleep, that is. Don’t Turn The Lights On from Chromeo1 on Vimeo.